When writing a proposal, it’s important to use a professional structure while still maintaining engaging content. It can be difficult to know where to start, or how to incorporate your ideas into the proposal. 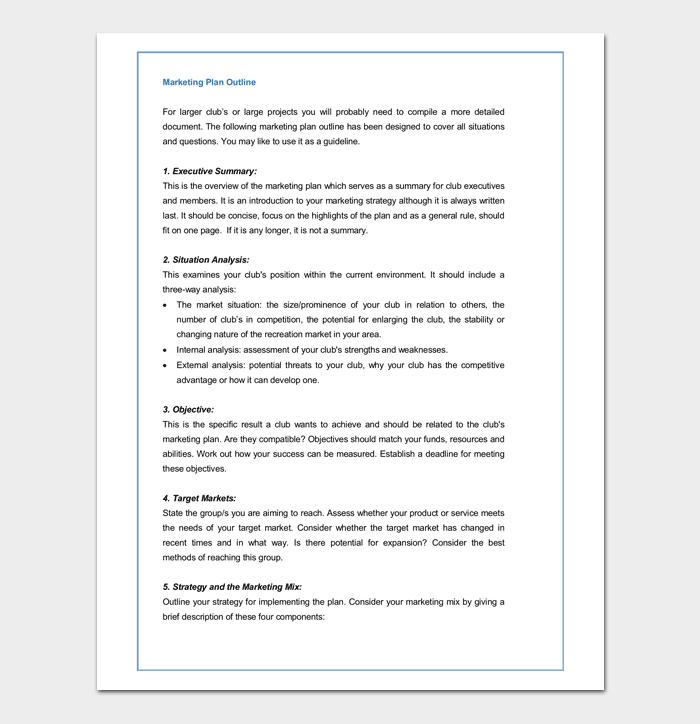 Using a proposal outline template can help you organize your thoughts so the document has a good flow. This simplifies the writing process, and creates a clear message. What is a management proposal? A research proposal is brief summary, 150-250 words, of your proposed research. It outlines your intentions for research, and the general area of study that it falls in. This document should reference the current findings and information for the topic, and any recent debates that have been made. This type of proposal should be professional and concise. 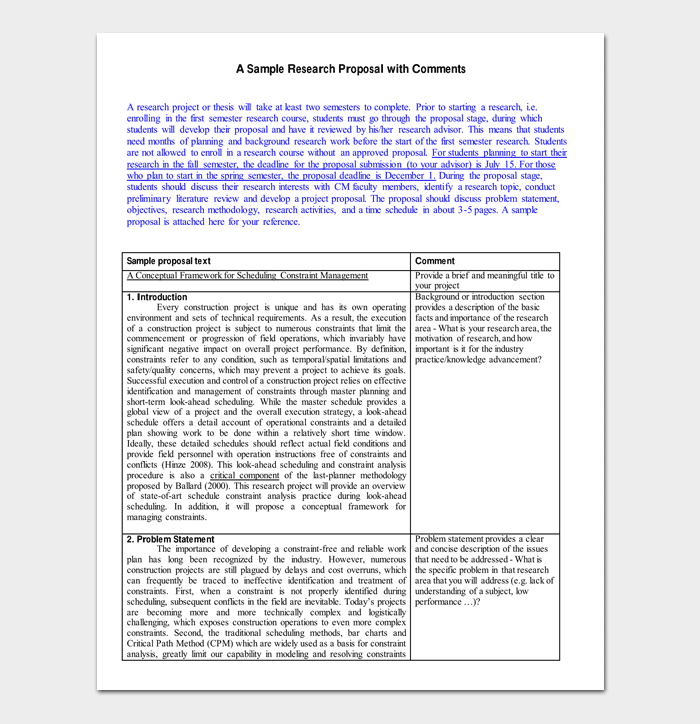 Using a sample research proposal outline can help to lay out your information and maintain a clear idea. Marketing plan proposals are used to outline a business’s annual advertising and marketing strategies. It describes the goals and tasks that need to be carried out to accomplish its objectives by a specific deadline. This should be a comprehensive document that is to the point and well organized for understand ability. A marketing plan proposal outline can be used to arrange ordered document points, and a clear timeline. A business proposal is a document that a seller uses for a prospective buyer. They are an important step in the sales process when a buyer is considering more than just the price of a purchase. 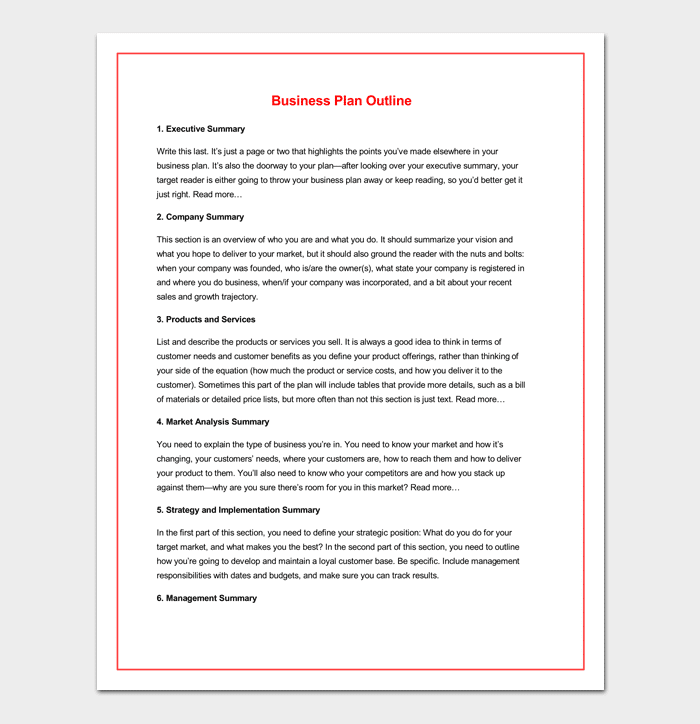 Using a business proposal outline template provides a demonstration of how to create an engaging, professional document that explains to the buyer why the seller’s offer is the best option for him/her. This is a type of proposal that is written for and presented to management at a company. 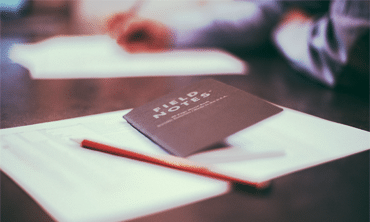 Writing a proposal to management is useful if you want to inquire about additional income possibilities, changing or adding company procedures, or another idea for change at your business. A project proposal is a detailed description of an order of activities that aim to solve a specific problem. They provide a logical presentation of an idea. There are many different types of project proposals to utilize. Some common ones are Sample Research Proposals, Marketing Plan Proposals, and Business Proposals. Each of these can be written more simply with the help of an outline.